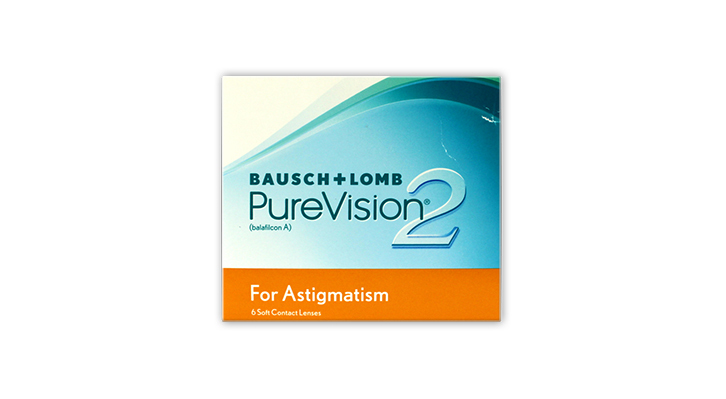 Purevision 2 with High Definition Optics for astigmatism are designed to reduce glare and haloes around lights, whilst delivering crisp, clear vision, even in low light conditions. The advanced silicone hydrogel material offers comfort and breathability and provides good handling, which is aided by a light blue visability tint. These lenses are designed to last one month and are for extended (overnight) wear. Each box contains 6 contact lenses in a buffered saline solution for easy insertion. 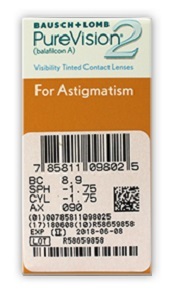 I usually wear the Purevision Toric extended wear and went for these as I thought they would be a step up, and WHEN they work they are, my vision was noticeably sharper. However the lenses do not sit on my eye nearly as comfortably as the other Pure vision lenses, they seem to move around a lot more leading to blurred vision, so much so that after three weeks I've gone back to the old lenses. A shame, as when they work they are really very good indeed. I have used these lenses for two years now and are impressed by the performance. In the beginning they felt a bit thick (coming from Freq Excel) but once you get used to them you really appriciate the extra comfort that comes with not having to worry about getting dry eyes. I also think the sharpness is really impressive and event though I have 110 astigmatism I always have a perfect vision. Sleeping with them is not what I normally do even though it works for a night or two.